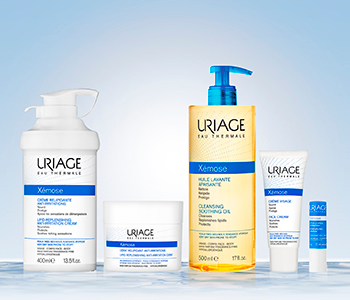 Indulge in Uriage’s new generation of emollient care with the Uriage Xémose skincare collection. Formulated for very dry and atopy-prone skin, the Xémose range will enwrap skin in soothing, nourishing formulas that restore the skin. Designed to reinforce the skin’s cutaneous barrier, the comforting skincare range will eliminate impurities and nourish the skin without aggression or irritation.